Connecticut – The southernmost state of New England and one of the first areas of the US to be settled by Europeans. It was one of the original 13 colonies. The state is the third smallest by area but also one of the more densely populated (4th) and therefore also one of the most populous (29th) in the US. That population numbered around 3.5 million in 2015. 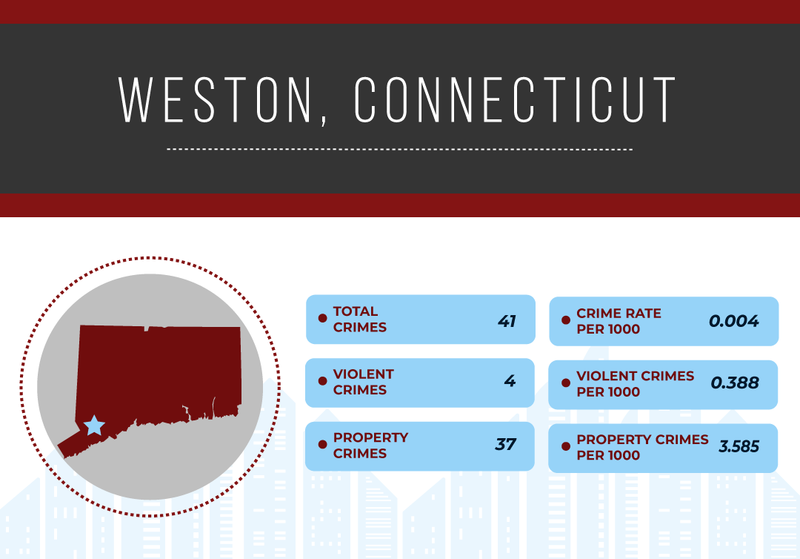 By several measures, Connecticut is one of the wealthiest states of the Union. In 2013, the per capita income was just over $60,000 making it number 1 in the US. However, there are considerable variations by area with it having the nation’s second largest gap between the top 1% wealthiest inhabitants and the remaining 99% below them. Much of the state economy is based upon financial services and insurance, with manufacturing also playing a major role. It has the lowest violent crime rates in the US, making it number 1 in that domain, with a rate that is under half of the national average (ratio 0.41) based upon 1.43 crimes per 1,000 versus a national average of 3.47. The property crime levels are 16.28 per 1,000, with the national average being 40.43 – giving a ratio again of under half the national average (0.40). 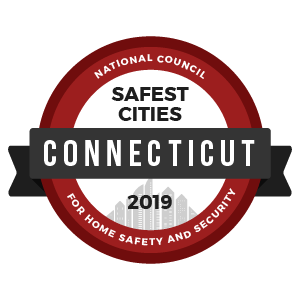 To identify the safest cities in Connecticut, we reviewed the most recent FBI Uniform Crime Report statistics. A total of 7,639 cities were factored into this ranking with populations ranging from 7,639 to 4,007,147. 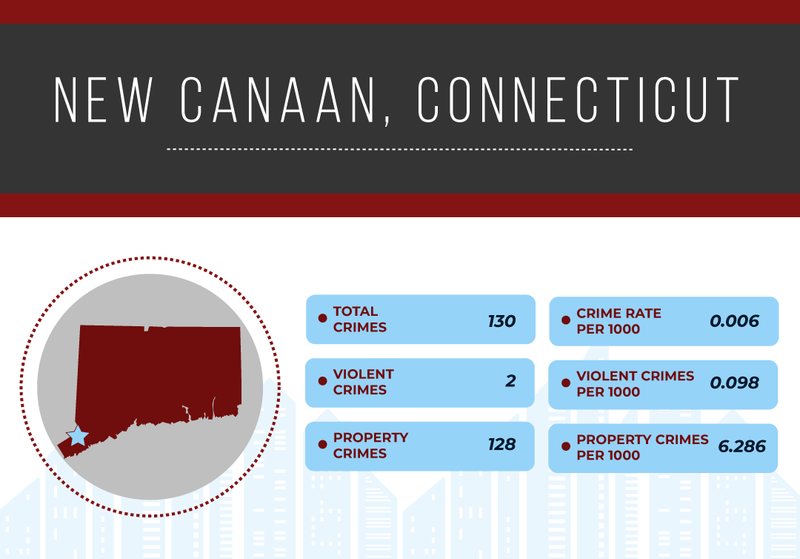 However, we eliminated any cities that failed to submit a complete crime report to the FBI and removed cities with populations under 10,000.